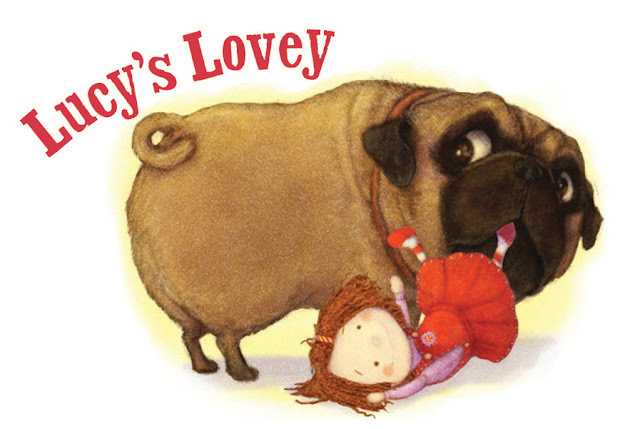 This week we are pleased to feature picture book author Betsy Devany. Be sure to enter into her giveaway to win a signed copy of her debut book, LUCY'S LOVEY, also signed by the illustrator Christopher Denise! I’ve been writing for children for over twenty years, but didn’t sell my first manuscript until fall 2013. I’m a never-give-up kind of gal. In my former life I was an actor, a dancer, a singer, and I ran my own appliqued children’s clothing/baby gifts business for 22 years, designing, sewing and selling on my own. How I came to write for children is largely owed to my mother. Always stressing the importance of children’s literature, she read to her four children twice a day—lunchtime and bedtime—inspiring my nine-year-old self to write (and illustrate!) my first picture book, The Cat Who Ate Green Peas. 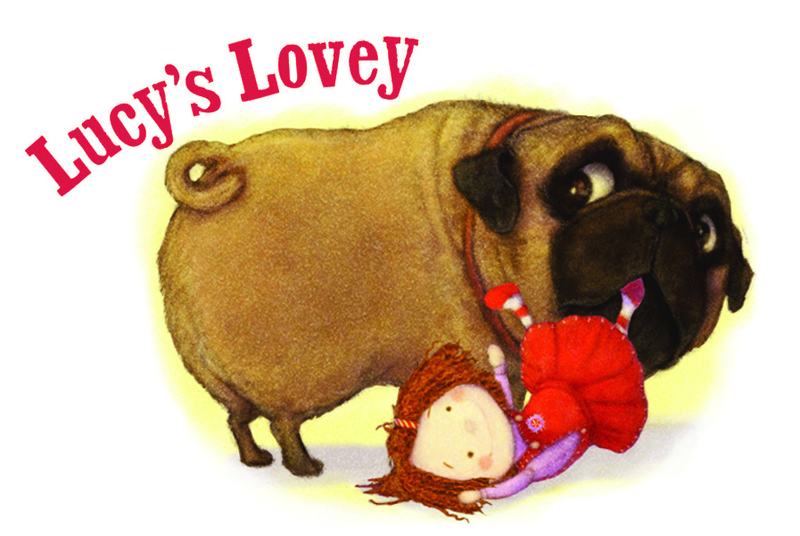 Congratulations on your debut picture book, LUCY'S LOVEY. Tell us about it and what inspired it. Thank you! 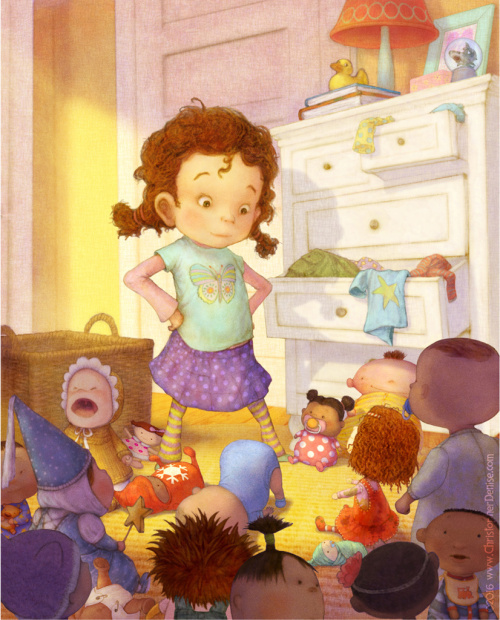 Lucy is a spunky, confident child who adores her baby dolls, all of which are uniquely named. But her favorite (lovey) is Smelly Baby, a doll whose name honors her original peppermint smell, but overtime takes on a new and literal meaning. It becomes, as do many well-loved loveys, quite smelly. Not everyone in Lucy’s family is fond of the doll’s odor, except for the oh-so-naughty, stuffie-obsessed pug named Stasher. One unfortunate incident follows another, as Lucy’s unconditional love for Smelly Baby is put to the test. I’ve worked at an old-fashioned toy store in Mystic, CT for almost 11 years where I’ve had the great privilege of meeting hundreds of kids and their threadbare, beloved loveys, some of which have been dolls, and some of which have been fragments of loveys. 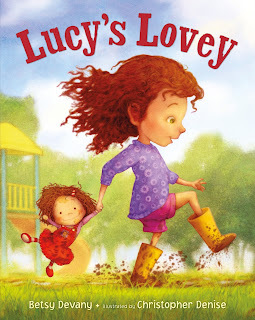 One darling girl in particular propelled me to draft not only Lucy’s Lovey, but other Lucy and her dolly adventures. Only time will tell if these will ever see the light of day. If not, they are incredibly fun to write. I do a lot of laughing in the wee morning when I’m deep in Lucy’s world with all her unique baby dolls. You had a very tough year last year. We and many kid lit friends have watched your strength with great admiration. Did you learn anything about the creative process during this time? First, thank you to everyone who offered their support and kept my family in their thoughts during this difficult and unimaginable period in our lives. Yes, it’s been a rough year. A surreal, living-in-a-fog-just-trying-to-get-through-each-day year, once my husband was diagnosed with ALS on December 8th, 2015. Given a prognosis of 3-5 years, his progression turned unpredictable and terrifyingly fast, and less than six months later, on June 1st, John lost his battle with ALS. You do feel as if you lose yourself during traumatic life challenges. In most cases there is time to adjust to every stage of this horrendous disease of subtraction. With John, there was no luxury of time to process what was happening. And yet, we had the gift of being able to say goodbye, for which I will always be grateful. But yes, my creative drive came to a screeching halt and was plunked on the back burner. When you’re in the throes of losing a loved one, especially to ALS that brings complete loss of independence and total paralysis, everything is put on hold. I am finding my way back. Slowly. Specific current projects are two picture books and a funny early reader series, which I hope to share with my wonderful agent soon. Beyond that, I have projects across the board—picture books through young adult novels—exploring both humorous and gut-wrenching topics. When I look at my body of work there is always a theme of family, because family plays such a strong part in my life. Read, read, read. 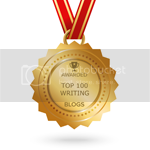 Focus on the joy of writing and do the hard work. Write every day, even if for only fifteen minutes. Join SCBWI. Attend writing conferences and writing workshops. Learn to embrace thoughtful feedback, but don’t lose your voice in the process. Revise, revise, revise. Always listen to your gut, and write from your heart. If you love what you do, the rest will follow, with the understanding that luck and timing sometimes play a part in the world of children’s publishing. Patience is a virtue, too. I don’t know how to swim, though I ache to, if I can overcome the fear. We didn’t have access to a pool when I was growing up, and by the time we did, that fear had set in, which I tried to keep hidden throughout my school years. I dreaded any field trips involving water activities, always finding excuses for why I didn’t want to go in the lake or the ocean or the pool. Looking back on those years now, keeping the secret was exhausting. I also have a hash tag #WhosYourLovey for the purpose of celebrating childhood loveys. In addition, for those who’d like to share a childhood lovey story, please contact me about being a #WhosYourLovey blog contributor. Examples of other contributors can be found on my website/blog. 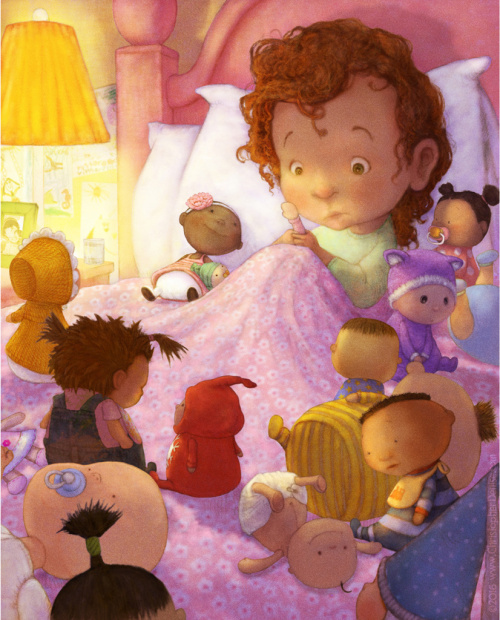 Betsy Devany has been writing for all ages of kids for over twenty years. Aside from being a first-time author, she loves reading, photography, birding, acting silly with her grandkids, spontaneous dancing, and working at an old-fashioned toy store in Mystic, where she delights in meeting rag-tag (sometimes smelly) loveys. I love your determination - It's inspirational to me. So sad to hear about your husband. Sending your much happiness in the coming year. Thank you, Darlene! I wish you much happiness, too, in the coming year. I'm so very sorry about Betsy's loss. How devastating. But I admire her strength and I know that feeling of having been writing for over 20 years and trying to get a book published. So happy for her about the debut book and I wish her the best of luck with her new projects! Thank you, Teresa, for stopping by and commenting! I hope you are enjoying your holiday season. I am so sorry for what you've been through. I lost my father to ALS, also in less than a year. You are right, as awful as that disease is, and through tears, I treasure that time we had as a family taking care of him and having time for goodbyes. 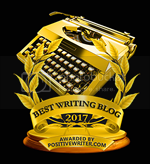 Your strength in getting back to writing is admirable! Oh, Tracy. ALS is such a tough disease, and I am so sorry to hear you know firsthand what I went through. I keep hoping for a cure. Enjoy your holidays, and treasure those family memories. Thanks for stopping by, Emily! I hope you're enjoying the holiday season. This post is the first one that made me cry! You are an inspiration! I have to reread this post every time I think I am having a "bad" time in my life because your words will help me get through it. Thank you! I'm sorry for your loss, Betsy. Thanks for sharing a bit of your journey in this inspiring post. Congrats on Lucy's Lovey. It sounds adorable! Thanks, Penny! Have a wonderful holiday and a Happy New Year! You are an inspiration, Betsy! Thank you, Cathy! I appreciate your comment! Congratulations on your new book! I'm so sorry to hear about your husband. Prayers for your continued healing, comfort, and peace. Thank you, Kristi. May you have a peaceful holiday and a Happy New Year.